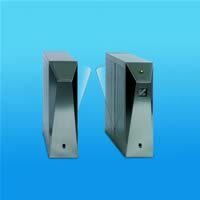 Whether you are located in the USA, Latin America, South America, Europe, Asia, the Middle East or anywhere else in the world - you have most likely passed an automatic access control barrier from Magnetic Autocontrol. From low level to high level security operations we offer a wide range of product lines in the following areas: vehicle access, pedestrian access, perimeter security, parking management, revenue collection, door/gate controls, immigration security and other areas of access control. Magnetic Autocontrol prides itself on its ability to offer products per customer requirements with the highest quality, robustness and reliability possible as well as generous guarantees. The core of our competencies and product quality is in the motor and drive technology. 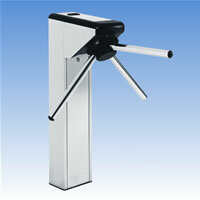 The designs of our motion control systems are applied in many different automatic access control products: waist high tripod turnstiles, full height turnstiles, retractable wing barriers, swing arm barriers, vehicle boom gates, railway gates and immigration barriers. 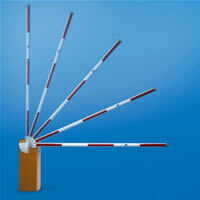 We also offer a wide variety of products that compliment our vehicle and pedestrian access products. Magnetic Autocontrol has extensive expertise in the parking industry and an increasing presence within the perimeter security industry. By offering complete systems for parking management, revenue collection, perimeter security and other access controls, we now have the ability to provide complete solutions. 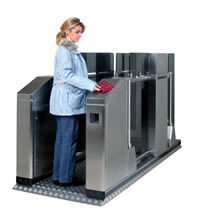 In addition to being internationally recognized for its high quality vehicle and pedestrian access barriers, Magnetic Autocontrol pioneered the development of automatic immigration barriers for faster processing of passengers and other pedestrians at airports, seaports, government facilities, international borders, manufacturing facilities and other high security entry/exit points. Due to the increased awareness of potential terrorist threats and the need for more secure operations worldwide, the products from Magnetic Autocontrol are sure to be in high demand. The philosophy of our company is "Security with Technologyï¿½?. Our innovation capacity sets quality standards worldwide and our solutions are based on the latest technology research and development. We are focused on the needs of both our customers and today's ever changing marketplace. 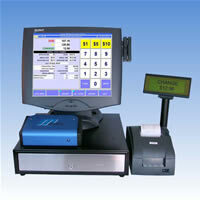 Our goal is to produce products that can not only meet, but well exceed our customers' demands. Simply put, for Magnetic Autocontrol, the customer always occupies the center stage!